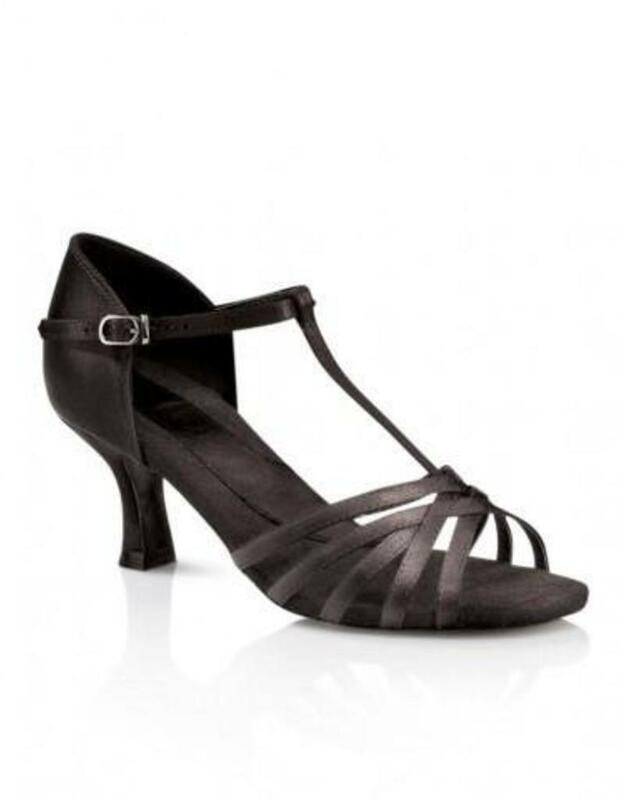 A clasic, beautiful shoe that can take you from practice or lessons to performances or any special occasion. Snag resistant satin is resistant to oil, water and dirt. Modern heel with dual density top lift. The bottom layer is softer and provides shock absorption. The top layer is hard and grooved for stability and traction. Capezio Signature Construction enhances the natural movement of the foot with engineered articulation points. Polished and refined techniques hide built-in reinforcement and comfort features without altering the look or performance. Also available in a 2 1/2" heel (BR197). We suggest you order same as your true women's street shoe size.